Weak Day – Tuesday, and the mission to sample Argentine wine under 12% continues. Because it’s Malbec Martes, a rosé of that ilk. 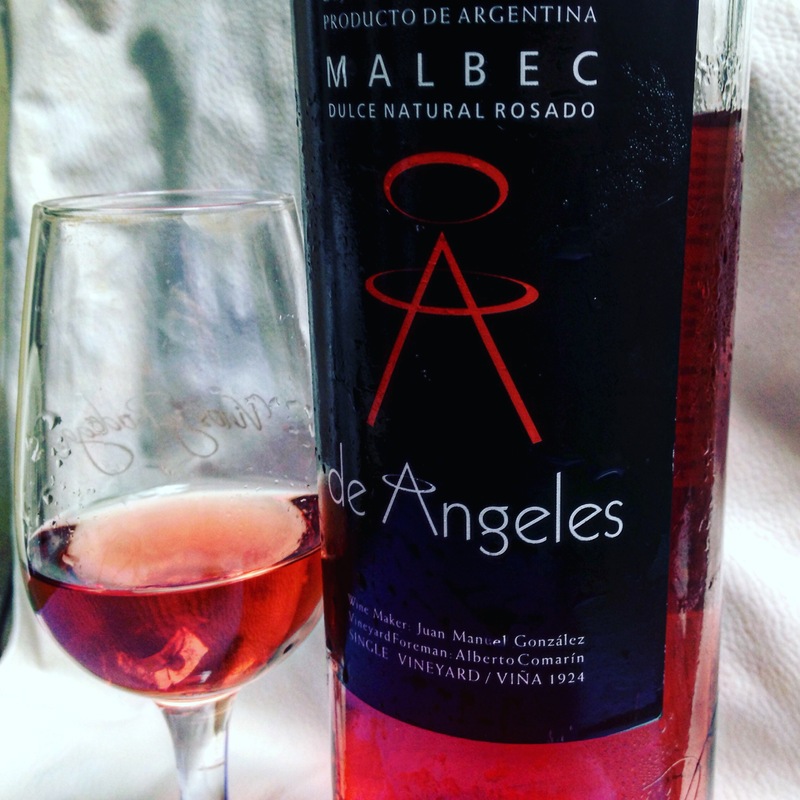 De Angeles Malbec Dulce Natural Rosado 2015. De Angeles Malbec Dulce Natural Rosado 2015, Bodega De Angeles, Vistalba, Luján de Cuyo. 1oo pesos. Screw cap. Anything else notable? A natural sweet rosé, its gorgeous salmon and orange hues are most beguiling. Many of you will say ‘But I hate sweet wine.’ Stop being so judgey! Have you tried it in the right context AKA not with your granny and with a dessert? That’s the time to get know a natural sweet. Plus, this ‘sweet’ wine will break down any prejudices you might have. Just 2,000 bottles of this first vintage were produced. All De Angeles’ wines come from vineyards planted in 1924. The fun-sized winery is cleverly designed, packing stainless steel tanks and barrels into a 15×15-metre space. Fun fact: Winemaker Juan Manuel is known as El Pelado, or the bald guy, which is funny because my boyfriend is also called El Pelado and it gets confusing when they’re together. Taste me because: I’m the epitome of summer. Imagine sucking on the last strawberry at the bottom of the sangria jug. Boozy strawb with a hint of boiled sweet. Yum! It appeals to my underage drinker within. The dulce is very low profile. Serve at 12ºC. Pairing: I quite fancy a strawberry tart with exceedingly crumbly pastry and clotted cream with this. But perhaps salmon tiradito or sashimi with a fruity salsa.